Verde Valley Myofascial Release provides an integrative and specialized approach to whole body pain relief through Myofascial Release and massage therapy. Advanced Myofascial Release and Massage therapy are techniques that hydrate and reorganize tightened and shortened muscles by placing low grade, sustained pressures into the restricted area. In most musculoskeletal conditions, Myofascial Release has proven to be one of the most effective manual therapy techniques for long term reduction of pain. Our fully licensed, highly trained staff are experts of the manual therapy techniques primarily used to treat structural and soft tissue imbalances in the body. *Mobile Services are available. Appointments: Sedona (512) 789-9467, Cottonwood (928) 592-2807. We’re committed to helping you achieve optimal health. Physical Therapy is a scope of practice primarily concerned with the remediation of impairments and disabilities while promoting mobility, functional ability, quality of life and movement potential through the use of examination, diagnosis, physical intervention techniques and passive modality agents carried out by physical therapists. Advanced Myofascial Release is a whole body technique which addresses connective tissue restrictions within the body. Gentle, sustained pressure is applied directly on the skin, without oils or gels. Pressure is maintained for a minimum of 2 minutes which allows the restricted area to reorganize and lengthen. In most musculoskeletal conditions Myofascial Release has proven to be one of the Most Effective Manual Therapy Techniques for long term reduction of pain. Craniosacral therapy (CST), is a gentle, non-invasive form of bodywork that addresses the bones of the head, spinal column and sacrum as well as the membrane and cerebrospinal fluid that surround surround and protect them. The goal of CST is to release compression in those areas which alleviated pain and stress as well as correcting underlying dysfunction. This also helps functioning of the central nervous system, which is always affected with chronic pain patterns. Like their adult counterparts, children and infants also benefit from skilled manual therapy, myofascial release, and craniosacral therapy. Birthing injuries can cause undue stresses on the cranial nerves, cranial bones, soft tissue, and the nervous system which can be related to numerous symptoms such as colic, irritability, esophageal reflux, compromised digestive function, muscle spasms. Danielle provides the option of using medicinal grade essential oils in treatment. Plants and trees have been human being’s medicine for hundreds of thousands of years and the basis for modern pharmaceuticals. The essences are the life force of the plants and trees and bring harmony throughout the body, always balancing our system and elevating us to our highest vibration. Medicinal grade essential oils provide protection against viral, bacterial and microbial infections, they help reduce inflammation, provide pain relief and can help heal bones and muscles quickly. Coupled with Myofascial Release, the influence of the essences on the body are monumental. Massage Therapy is the manipulating of superficial and deeper layers of muscle and connective tissue using various techniques to enhance function, aid in the healing process, decrease pain and promote relaxation and well-being. 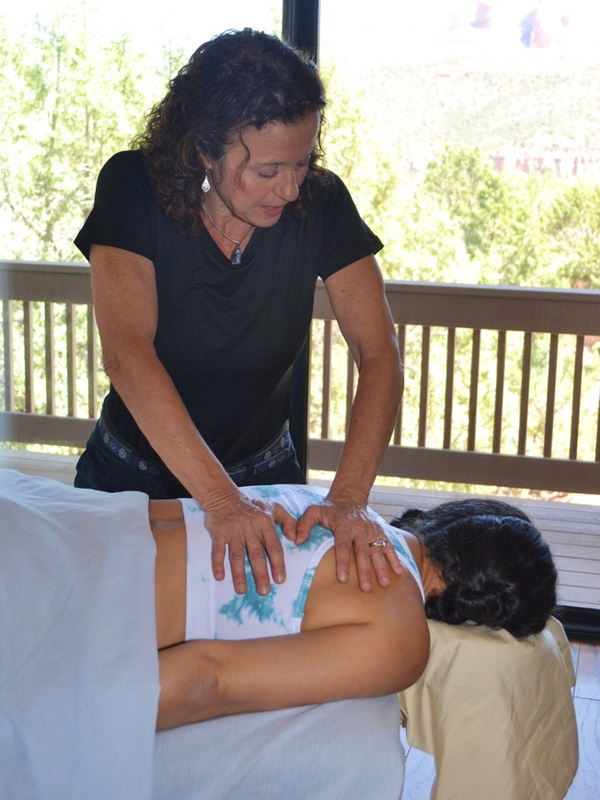 Why Choose Verde Valley Myofascial Release? We use a unique blend of manual therapy tools to identify the source of the pain, loss of mobility, or impaired functional movement. Manual Therapy techniques such as myofascial release, lymphatic drainage, craniosacral therapy are utilized to correct the dysfunction. We work with eliminating the pain and correcting the mobility issue along with correcting the dysfunctional movement patterns. Patient education is a very important part of our treatment program. We want to empower our clients to know what is going on in their body and how their activities could be impacting their pain. ARE YOU READY TO TAKE YOUR BODY BACK? WE ARE THE PREMIER MYOFASCIAL RELEASE AND PAIN RELIEF SPECIALISTS SERVING THE VERDE VALLEY. WE HAVE OFFICES IN COTTONWOOD AND SEDONA. Appointments: For Sedona call (512) 789-9467, For Cottonwood call (928) 592-2807.